“The Loveliest Abyss in the Universe”, probably the darkest story I’ve ever written, just went on sale over at Amazon. And it isn’t computer-generated, either. I took that photo at a lava lake on the Big Island of Hawaii. I modified the color balance, of course, but those shapes were real. One might call it a quick read, but it’s jam packed with goodness. When the sacred Order of Nirangi opens a portal into a hellish realm, Sujan’s life will never be the same. The portal, created by a bizarre, ringed machine that tears fissures into the fabric of spacetime itself, shows the Nirangi scientists a glimpse into a realm covered in roiling lava lakes and gushing volcanos, leaving them petrified and humbled. Afterward, Madam Viragat, the overseer of the project, is bent on using their recording of the glimpse to scare the populous into submission. Despite incomplete data, she insists that the hellish realm they saw was the spiritual abyss, the true fate of the unsanctified after death. Only Sujan, a brilliant young scientist, is willing to investigate further, making a shocking discovery. Now he must choose. Will he succumb to Madam Viragat’s authority and support her version of the facts? Or will he stand up for the truth, putting his personal safety in jeopardy? This fast paced, Sci-Fi adventure about belief, dogma, and courage is a unique, compelling blend of storytelling that you’ll never forget. And at 11,000 words, this is Crusoe’s first novelette, proudly offered DRM-free. Thank you for supporting an independent author. And if you enjoy this story, be sure to check out the Free Preview of the book “The Truth Beyond the Sky,” included at the end of this novelette. Also, this is a completely stand-alone story, so you don’t have to have read anything else to fully appreciate it. (To be clear, this is NOT the sequel to Book 1. That’s still coming.) However, as a bonus I did include the first chapter of “The Truth Beyond the Sky”, putting the book at well over 13,000 words total. So at 99¢, it’s a steal. That’s probably less than what you’ll spend on coffee today, and I can’t wait to hear what you think of it. Buy it on Amazon now for 99¢! 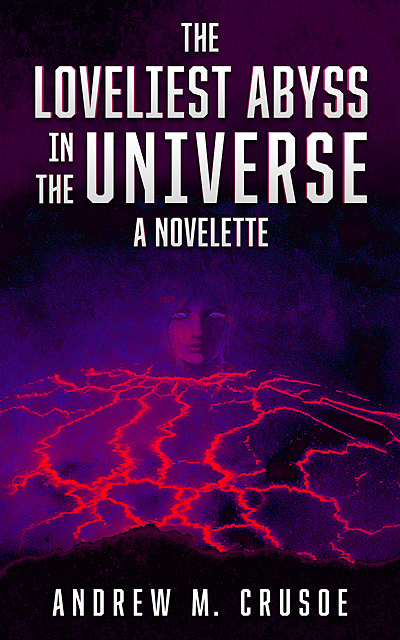 I’ve decided to put the first chapter of this novelette up on this site for free.